As any person living with diabetes would certainly tell you, life with diabetes is often something of a balancing act between managing one’s lifestyle to maintain a healthy blood glucose level. Despite seeming a bit overwhelming at first, once familiar with the daily requirements, managing diabetes may eventually seem as routine as brushing your teeth. Ironically however, in two such aspects of everyday life, in daily diabetes management and routine dental care, we see the simultaneous treatment of two vitally important health issues that can in fact directly affect one another. To put it simply; your oral health affects your diabetes and at same time, your diabetes affects your oral health. Although this may sound silly, it is important to understand this concept as failure to properly care for one, will almost certainly end up affecting the other. Regardless of whether you’re a diabetic or not, grasping the absolute importance of regularly maintaining a diabetic’s blood sugar level is certainly an easy concept to understand. Oddly what’s less understood or perhaps simply overlooked, is the supreme importance of practicing proper oral hygiene. While most of us have surely forgotten to brush our teeth on one occasion or another, all too often when we do brush we simply scrub for a moment or two, then spit and continue to go about our day. Sure this is an easy habit to get into, but if this continues long enough you may find yourself facing periodontal disease. Whether known as periodontal disease, periodontitis, or simply gum disease, this condition is commonly thought of as something of a nuisance that merely discolors your teeth or gives you bad breath. 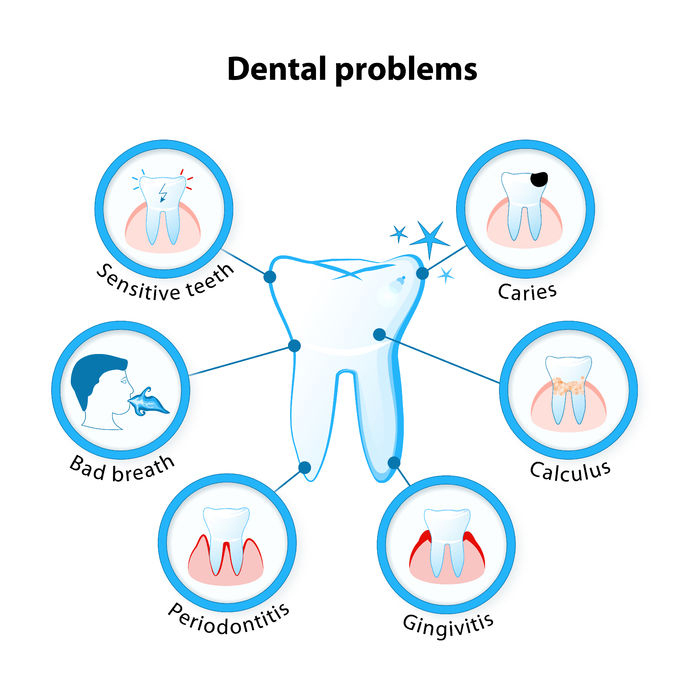 This however is a gross misconception, as periodontal disease if neglected can stir up a hornet’s nest of problems that’s almost guaranteed to prove detrimental to both your oral health and general health as well. In truth, periodontal disease is a progressive infection that begins in the gums surrounding your teeth, and eventually spreads throughout the mouth causing inflammation and damage to everything it reaches. In some severe cases, gum disease can almost entirely destroy one’s jawbone. However in other cases it may spread into other regions of body, and thereby trigger additional illnesses or interact with pre-existing ones. As you can probably surmise from this juncture, suffering from either diabetes or gum disease in of itself can be an uphill battle. However if you were develop both of these conditions, then it is absolutely imperative that you properly care for and consistently monitor both illnesses in equal measure, as neglecting one will likely exacerbate the other. Therefore, the link between diabetes and oral health is extremely critical. For instance, if your diabetes is left unchecked or poorly managed, this will surely cause elevated levels of glucose or sugar to circulate throughout the body, including your mouth. With this heightened level of glucose, the mouth begins to build up an excessive amount of bacteria, thus ravaging your oral health and creating the ideal setting for an infection like periodontal disease to develop and flourish. As mentioned previously, periodontitis is a progressive bacterial infection within the gum tissue that if neglected, can severely damage or destroy your gums, teeth, and jaw. However like any infection, gum disease likely affect and destabilize the blood glucose level of the sufferer and thereby make the levels increasingly difficult to control and ultimately cause the diabetes to exponentially progress. Without question, the best way in which you can properly assess, prevent, or manage these simultaneous conditions is to consult with your physician and dentist. As they may provide you with the knowledge and resources necessary to repel the barrage of health issues that may be associated with these two overlapping illnesses that link your diabetes and oral health. However while seeking additional insight and/or new treatment methods, it’s important not to overlook the basics of diabetes and oral health care also, as simply taking the time to ensure that your blood glucose is at a healthy level and that your teeth are properly brushed and flossed, can make all the difference in the world! After all sometimes it’s the smallest things we do every day that truly matter the most. Dr. Charles R. Kimes, DDS and his expert team at Overland Park Dentistry look forward to having the opportunity to help you manage your diabetes and oral health! Or with any preventative, restorative or cosmetic needs you or your family may have. To schedule a dental appointment, contact us at our south Overland Park office at (913) 647-8700 or our north Overland Park office at (913) 341-2380.